•	One of the best benefits is... Alaqsa Carpets is providing you artificial grass carpet at cheapest Price in Malaysia!! 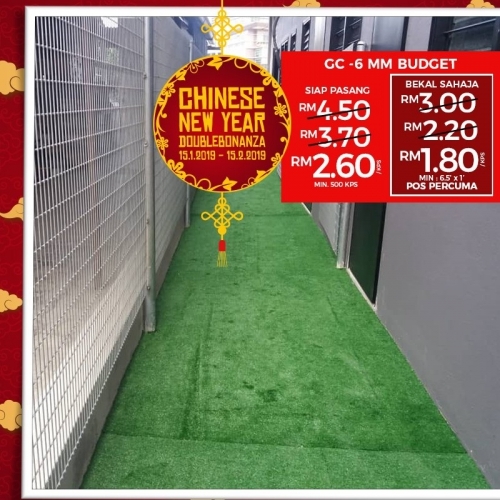 Just From RM1.80/sqft - Grab Our Chinese New Year Double Bonanza Promo Today!! You won't get this price anywhere!! What do you think about artificial grass carpet? any query? any issue? don't hesitate to contact our pro.